The ancient Egyptians are known for developing the concept of air conditioning. In an attempt to find relief from the heat, reeds were hung from windows as small, constant streams of water trickled down them. As the water evaporated on the reeds, it cooled the air blowing through the windows. Although this process seems extremely basic, the general physics of air conditioning has remained the same throughout history. In the early 1900s, an engineering student by the name of Willis Carrier was working to solve an application problem for a publishing company in Brooklyn. This company was experiencing many setbacks because high humidity levels created challenges with maintaining the printing paper — the lifeblood of the business. Willis used his knowledge of heat transfer and simply reversed the process. Hence, the first modern electric air conditioner was invented. Instead of sending air through hot coils to create warm air, he sent air through cold coils, which cooled the air and reduced the moisture content in the shop. This process helped maintain proper ink alignment and paper dimensions, creating a breakthrough in the printing industry. The technology was later used to increase productivity in the workplace and eventually improve comfort in homes. As we fast-forward into 2015 and beyond, the process by which air conditioners work is still based on Carrier's simple scientific principle. However, the application of a few clever mechanical techniques have changed the footprint and made large-scale cooling not only possible, but a necessity in the commercial world. Newer technology means many more moving parts, which then creates the need for a maintenance program to ensure proper functionality. Before we discuss the importance of maintaining these systems, let's look at how an air conditioning system really works. Air conditioners operate by taking advantage of a physical law called "phase conversion." This process is the absorption of heat when a liquid converts to a gas. Phase conversion is exploited by air conditioners by forcing chemical compounds, in this case refrigerant, to evaporate and condense over and over again in a closed system. The refrigerants are passed through internal evaporator coils and external condenser coils, and through this cycle, the air is cooled. The indoor blower system is a critical part of an air conditioning system and is responsible for constantly moving the inside air. When the warm air passes over the cold, low-pressure evaporator coils, the refrigerant inside absorbs the heat as it changes from a liquid to a gas. 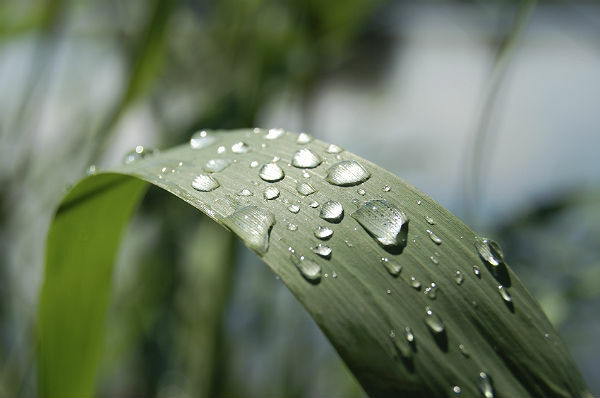 This process starts to lower the humidity and temperature of the air. In order to keep cooling efficiently, the air conditioner has to constantly convert the refrigerant back to a liquid. To accomplish this, a compressor puts the gas under high pressure, which creates unwanted heat. The unwanted heat is then pushed to another set of coils, called condenser coils, located in the outdoor unit. A second fan pushes air across the condenser coils to help cool down the high-pressure gas. As the gas cools, it changes back to a liquid and the process starts all over again. This cycle is endless and continues until the thermostat is satisfied. Although the creation of air conditioning seems like a cycle that will continue without fail, maintenance is mandatory to keep the phase conversion working properly. In the refrigeration cycle, two critical areas allow for the heat to be absorbed and exhausted, or in other words, exchanged. Let's start inside the space and talk about the evaporator coils. As the system constantly pulls air in and pushes air through the evaporator coils, dirt and dust will make its way into the air stream. Most of this debris will be caught by the filters, but when filters become clogged the debris can hit the coils. When the evaporator coils start to become coated in dirt, the heat exchange process starts to suffer, and the cooling output starts to decrease, forcing the unit to run longer to maintain the temperature. This increase in run time will result in higher energy consumption. The filters can also directly affect the system. As filters catch debris, they start to increase in density, which in turn requires more force to push air through. There comes a point when the force of the fan cannot overcome the density of the filter, and this creates a lack of airflow across the evaporator coil, which also affects the heat exchange process. Instead of the cold liquid-filled evaporator coil absorbing the heat and turning the liquid into gas, a percentage of the liquid does not change to gas and continues to get colder. Over time this will result in the coil freezing, which will lead to a system shutdown. On the outside, there is a second set of coils known as the condenser coils. We don't have the luxury of filters to protect the condenser coils, so dirt buildup is inevitable. The amount of buildup on the condenser coils will differ based on the conditions of the surrounding areas. Condenser coils located near a highway will collect dirt faster than those near an area with little movement. Regardless of the location, the coils should be cleaned routinely in order to keep the air conditioning system running properly. 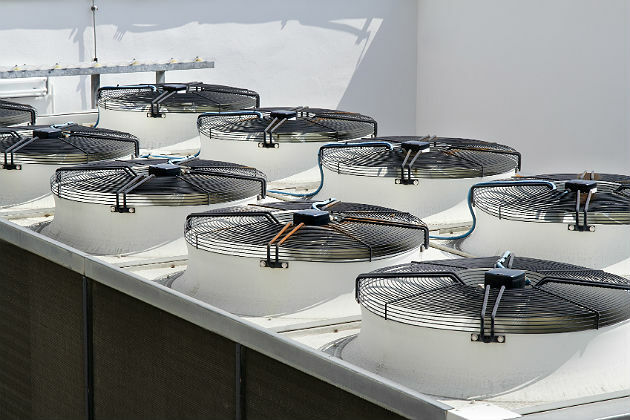 When the condenser coils are coated with dirt, the heat exchange process is affected, and the system will experience longer run times and possibly even breakdowns. It is important to keep both the evaporator and condenser coils clean as phase conversion is the lifeblood of any air conditioning system. As a facilities manager, keeping your air conditioning systems operating should be just as important as keeping the lights on. One of the easiest ways to keep your air conditioning systems running properly is to develop a maintenance program. A program that consists of regularly scheduled filter changes and coil cleanings will not only keep your systems running properly, but it will also help you manage your energy consumption, which at the end of the day, will reduce your operating costs. When Carrier invented the simple process of air conditioning in the early 1900s, I'm sure he had no idea it would completely revolutionize how people live. It eventually created a world that relies on keeping people comfortable — and keeping businesses running. Pretty cool idea, Mr. Carrier. John Haley is the director of HVAC services at Ferrandino & Son, Inc. He has more than 25 years of experience as an HVAC specialist. John may be reached at 866-571-4609.